This chart made the front page of the New York Times and was also picked up by weekend talk shows. 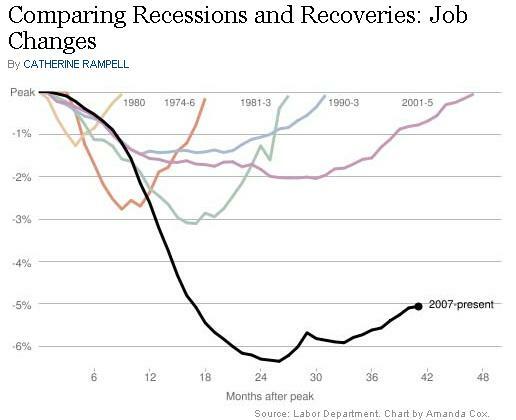 It vividly shows how Obama’s recovery is amongst the worst when compared to other economic recoveries. Link here.